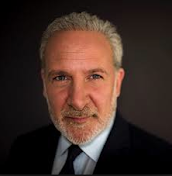 Peter Schiff dissects the latest move from the Federal Reserve and its future implications for the markets. "The selloff from the high to the low was just under 900 points. Earlier in the day the Dow had rallied up about 300 points because there was a lot of anticipation that even though the Fed was going to hike rates today, that it would indicate it would pause."